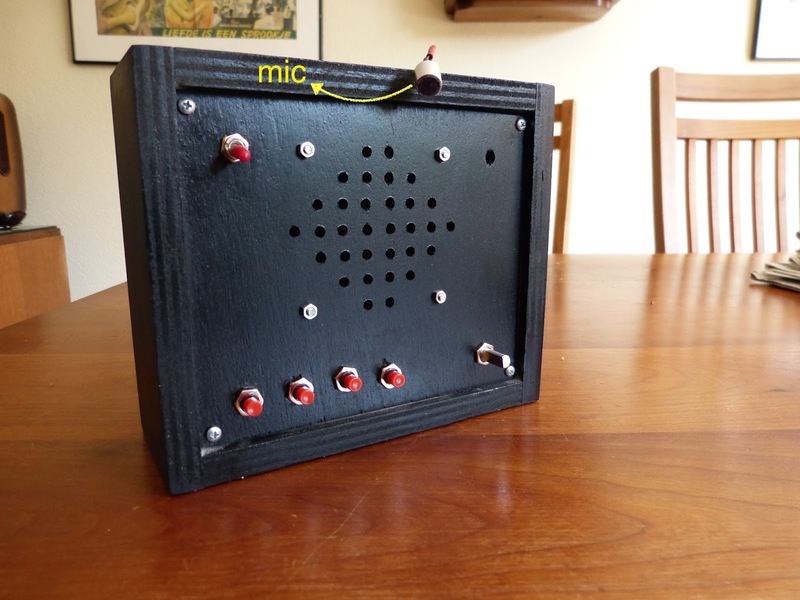 About a week ago I wrote about a Darth Vader voice changer that I am making. I finally have finished a prototype but not without problem. I soldered all the external components to the Velleman MK171 kit. When I tested the circuit I discovered that three red pushbuttons (see images below) weren’t functioning. I disconnected all four red pushbuttons and tested them on a breadboard with an LED. They all worked fine. I reconnected the buttons to the kit and again three of them didn’t work. Running out of ideas and time I decided to use the regular mini pushbuttons instead that came with the kit. 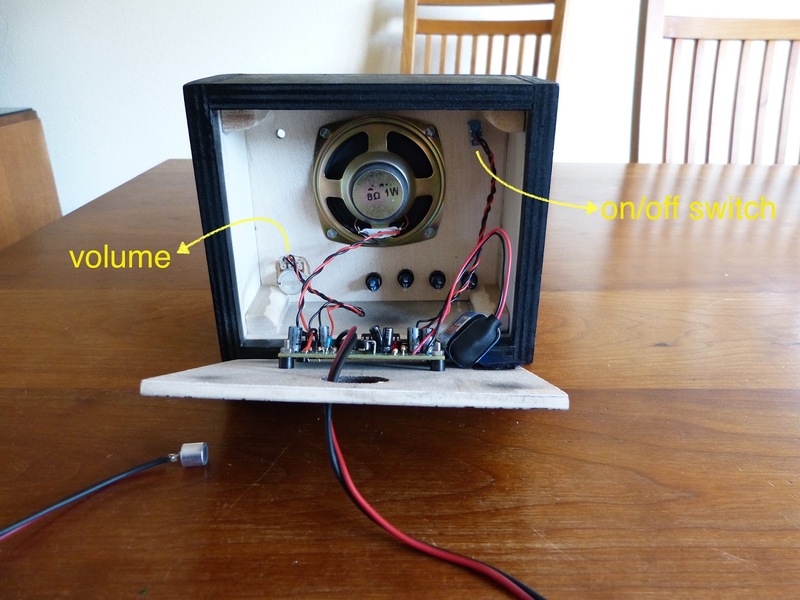 The voice changer works excellent and the sound is loud (due to the 2 inch speaker and the box) and resembles Darth Vaders however changing the voice requires opening the enclosure which is far from ideal. There is still a little work left. I have to attach the mic to the inside of the Darth Vader mask and I need something to easily lock and unlock the back of the enclosure. Image of the Darth Vader voice changer with the mic lying on top. The red pushbuttons are not attached to the pcb. Back of the voice changer with the microphone wire. Inside the enclosure of the voice changer. 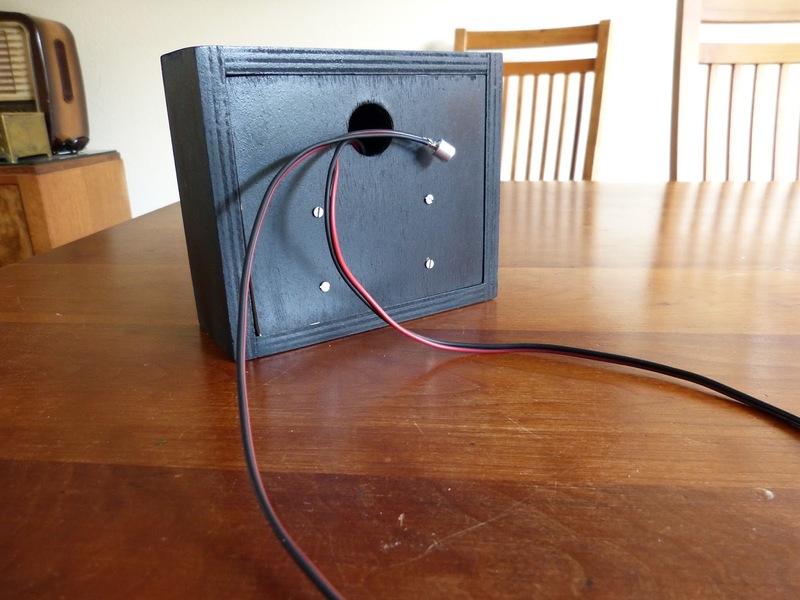 The pcb is mounted on the back of the enclosure.